A practice employed by German automaker Volkswagen (VW) to protect its new vehicles from hailstorms has led to a dispute with local farmers in Mexico, who claim their crops are being damaged. 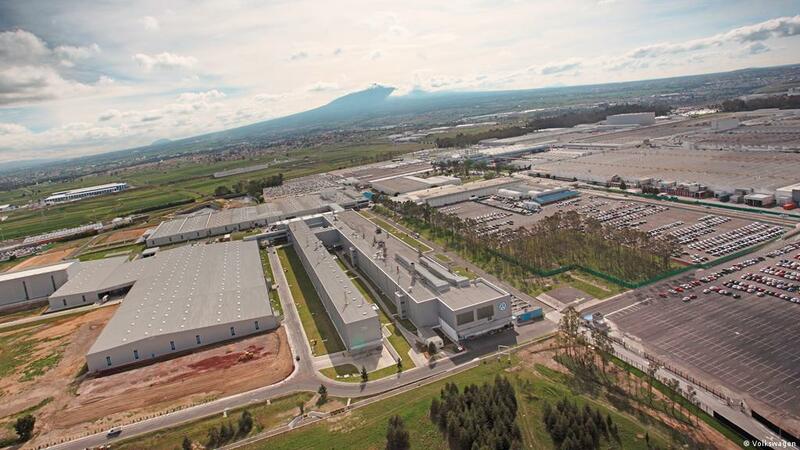 Mexican farming communities accused Volkswagen (VW) on Tuesday of “arbitrarily” provoking a drought in the central state of Puebla, where the German automobile manufacturer operates its largest car factory outside of Germany. Farmers in Cuautlancingo, the rural municipality where the plant is located, claimed that VW’s use of “hail cannons” was causing a drought that has made them lose 2,000 hectares (5,000 acres) of crops. In June, VW started using the shockwave generators — sonic devises that purport to disrupt the formation of hail in the atmosphere — to prevent its newly-built vehicles, which are parked in an outdoor lot, from being damaged by the falling ice pellets. The practice purportedly disrupts the formation of hailstones. Farmers in the municipalities of Puebla, Amozoc and Cuautlancingo are now seeking more than 70 million pesos ($3.71million, €3.2 million) in compensation from the automaker. In June and August, farmers staged protests and blocked access to VW’s Puebla plant, which is the German carmaker’s largest outside Germany, employing 15,000 people who produce more than 450,000 vehicles a year. The Puebla government said it would meet with both the factory’s management and the affected farmers to reach an agreement. State Governor José Antonio Gali Fayad didn’t rule out the possibility that the affected farmers would be awarded compensation. Meanwhile, Volkswagen has tried to defuse the conflict this week by announcing it was taking the cannons off automatic mode and would only fire them when potential hail storms approached. It also pledged to invest in protective mesh to serve as its first line of defense against hail. But local farmers’ representatives described the offer as “unacceptable” as long as VW continued using the cannons. VW has officially been granted permission to use hail cannons, although the technology still lacks scientific evidence supporting its efficacy. Ironically, Mexican farmers themselves often deploy the machines as a storm approaches as a means to protect their crops from being damaged.